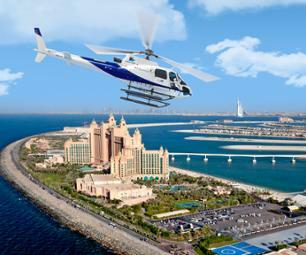 Upon arrival at the airport, you will be met and taken to your hotel in Dubai for dinner and to spend the night. 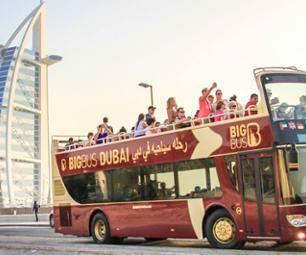 Enjoy a day devoted to discovering Dubai. 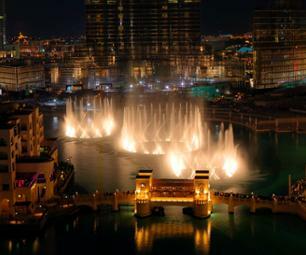 Begin with a visit to the business district, including the Dubai Mall which is the largest shopping mall in the world. 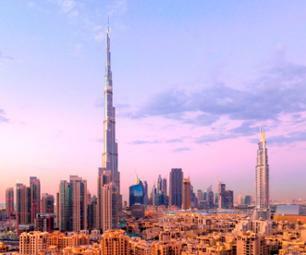 You will also visit the Burj Khalifa, the largest tower in the world (ticket included). Next, walk through the historic quarter and visit the Dubai museum, which is located in the Al-Fahidi fortress. From here, take an abra, which is a small traditional boat, and cross the creek to reach the souks. The day will wrap up as you visit some of the most beautiful monuments in Dubai: the Burj Al Arab (a famous hotel in the shape of a veil) the Jumeirah mosque, and the Atlantis hotel (a magnificent building located on the Jumeirah Palm, the artificial island shaped like a palm). You will not visit these monuments, but you will be able to see them from the outside. You will then return to your hotel for dinner and to sleep. Hit the road for Abu Dhabi. The trip will begin with a visit to the Manarat Al Saadiyat Cultural Museum, which has hosted exhibitions from the Louvre and Guggenheim. Next, visit the Zayed Center which is located in the Al Bateen neighborhood. Enjoy a photo break in front of the superb Enirates palace and continue on to visit the Heritage Village. 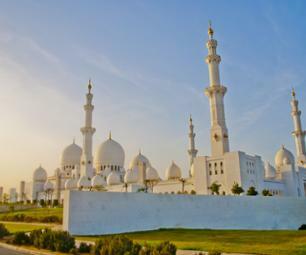 Finally, visit the most famous monument in Abu Dhabi: the Sheikh Zayed mosque, which is the 3rd largest mosque in the world! You will finish the eveniing with dinner at your hotel in Abu Dhabi. Your next day in Abu Dhabi will be start at the Louvre museum, which opened in November 2017 (non-guided visit). You will then head for Al Ain, an oasis situated just half an hour from Abu Dhabi. Here, walk amoung the palm trees and visit thee Al Ain museum, the Al Jahili fort (the former royal palace of Shekh Zayed Bin Sultan Al Nahyan. The visit will finish with a trip to the camel market. You will have dinner and sleep at your hotel in Al Ain. In the morning, set out for Sharjah (sometimes spelled Charjah) which is known for its culture. Walk through the old town, which is also the art neighborhood. You will visit the Islamic Civilization Museum and the Al Markazi souk (also known as the blue souk). The day will end with a safari in a 4x4 in the desert (the driver will speak english). 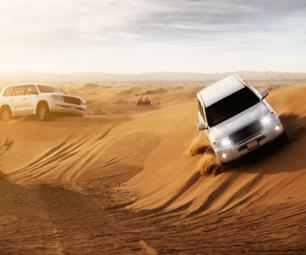 Enjoy dinner amoung the dunes before returning to your hotel in Sharjah to spend the night. Depart Sharjah in the morning and cross the Fujairah emirates. Board a dhow (traditional arabic boat) and enjoy a cruise along the Musandam penninsula. This is part of the Sultanate of Oman, passports are required. Navigate the coats and the fjords, and through the beautiful countryside that includes the Hajar mountains. 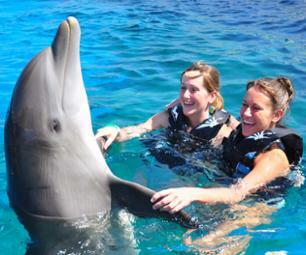 Visitors can swim in the sea and observe a variety of ocean wildlife. If you're lucky, you might even see dolphins. You will return to your hotel in Sharjah for dinner and to spend the night. Enjoy a free day in Dubai to walk through the historical center, do some shopping, or even visit the beach. At the end of the afternoon, you will meet your driver who will take you to the Dubai Creek (or Khor Dubai). Here you will board a traditional boat (dhow) for a dinner cruise with a view of the city from the sea. You will return to your hotel in Dubai to spend the night. You will be taken to the airport in plenty of time to catch your flight!